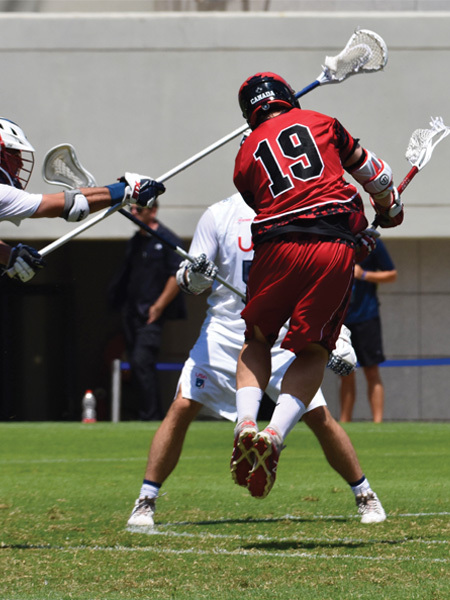 The FIL Men’s World Championships is essentially the World Cup of lacrosse, and representing all of Canada this year was one of Drexel’s own: Ben McIntosh ’14. Canadian Ben McIntosh ’14 was born into a lacrosse family. His grandfather was involved with the Canadian Lacrosse Association. His father played the sport and coached Ben and his brother, Garrett. But there’s another reason McIntosh, who starred at Drexel and now is one of the top professionals in the country’s National Lacrosse League, gravitated to the sport over others. “I was a lousy hockey player,” he jokes. Which is not to say he’s not supremely talented with a stick. 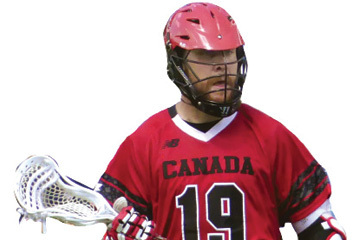 In July, McIntosh helped lead the Canadian national team to the final of the 2018 FIL (Federation International Lacrosse) Men’s World Championships. While the tournament, hosted this year by Israel, ended in heartbreak for Team Canada, McIntosh, a midfielder, played fabulously. He finished the tournament with 14 goals and four assists in seven games, and he scored a pair of goals in the title game, which Canada lost 9-8 to the United States. For his efforts, McIntosh was named to the All-World Team. Despite the hard-luck finish, the experience was a formative one for him. McIntosh grew up in Coquitlam, British Columbia, which is outside Vancouver. Along with the Toronto area, it’s a hotbed for Canadian lacrosse. When McIntosh was a kid, lacrosse was as much a part of his family as family dinners, so it was somewhat natural that when it came time for him to choose a college, he followed his older brother Garrett to Drexel. It was a decision he does not regret. As a senior he led the Dragons to their first-ever Colonial Athletic Association championship. After graduating in 2014 with a degree in international business, McIntosh was the first overall selection in the NLL draft. 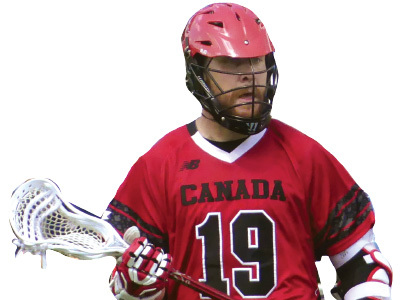 He’s played four years in the professional indoor league — winning three titles, including this year’s with the Saskatchewan Rush. Like most other NLL players, he has a full-time job as well. He still lives in Coquitlam, where he works in business development for his family’s kitchen design company, Genesis Kitchens and Design. He travels and practices on Fridays, plays in the game on Saturday, and returns home Sunday. Lacrosse runs in McIntosh’s blood, so he wants to remain involved in the sport in some way for the rest of his life. Ben McIntosh’s play certainly does.